Run for a Reason - my #1 girl! "...makes a dragon wanna retire, man." Our very own Lily completed her first timed (1 mile) race a few weeks ago, and to say she killed it would be the understatement of the year! I ran along side her and it was all I could do to hold back those proud mama tears. She ran with determination and confidence for the entire race. Not once did she ask to stop or slow down...if anything I was putting the breaks on her! Matt and I did not put any pressure on her to do the race, it was all her. But obviously it isn't all her, she wants to run because we do...and actually if you ask her she will tell you it is because I do. She is five, and she wants to be just like me. Sort of a scary mommy moment! Not a day goes by that I don't pray that I do right by these kiddos of mine, because they are taking it ALL in. It is in that spirit that we are raising money for the kids at St Jude. The best way to ensure that the kids have generous hearts is to show them mine. 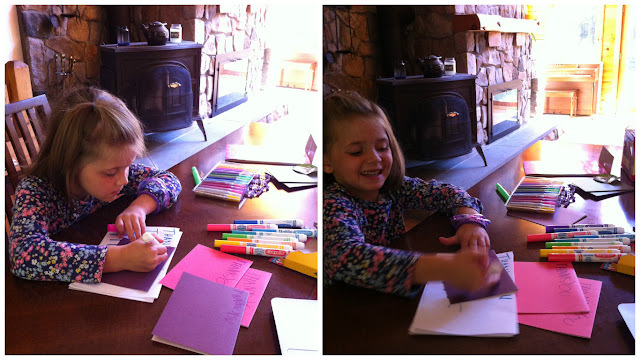 This weekend we spent a few hours making thank you cards together for our generous donors. To say that I am proud to be her mom...now that is the real understatement of the year. Please consider clicking HERE to support our fundraising goals which will benefit the children (and their proud mamas) at St Jude Children's Research Hospital. The "year of running" started out as a fun challenge for me and Matt. When we first started committing to race after race we didn't really put a whole lot of thought into where our registration money was going, but more often than not a portion does go to charity. Over the past year we have had the pleasure to meet so many runners (and volunteers) who have turned their love of running into something more. I can do more. I can run for a reason. Three reasons, to be more precise. 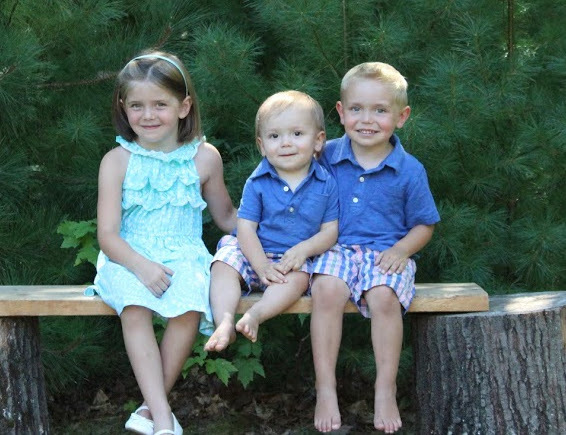 Matt and I have are so blessed to have three healthy children. It is because they are healthy that we have the luxury to run in the first place. Not all parents are so lucky. Some parents are walking through my worst nightmare and they need all the help they can get. That's where St Jude Children's Research Hospital comes in. In November Matt and I will be running the Walt Disney World Wine and Dine Half Marathon and I recently joined the St Jude fundraising team. I talked it over with the kids, Hugh is a surprisingly good listener, and we all agreed that helping sick kids is something we can make a priority! We set a lofty goal, raise 1,500 dollars in 45 days! Here's the thing, fundraising is hard. I do not like asking people for money. But if there was ever a reason to step out of my comfort zone this is it! So, if you've made it this far take a minute to think about how truly grateful you are for the healthy kids in your life and once your heart is all big and bursty...please consider clicking HERE to donate to St Jude and support my fundraising efforts! !